Razers enter the Smartphone Arena with Razer phone which is aimed to offer you the performance of a gaming laptop in a smartphone. 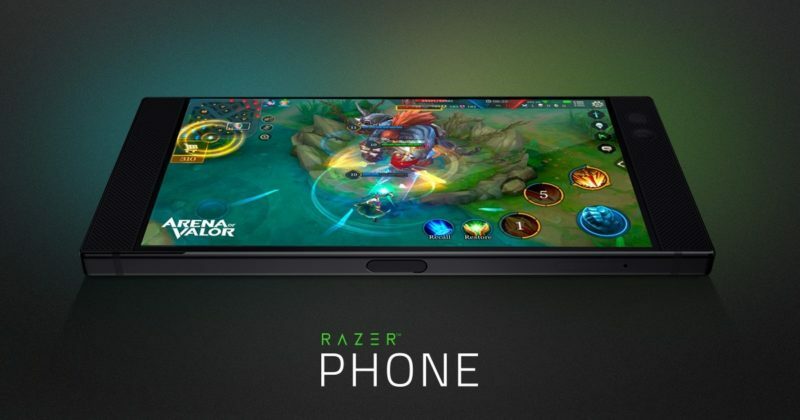 As we have previously told you about the Razer preparing a Smartphone especially for Gamers, finally the day has arrived where Razer has introduced its first Flagship Smartphone that too specially designed for Gamers in you. Razer is known for high-performance gaming hardware, software, and systems, probably famous for their Gaming laptops & Accessories. 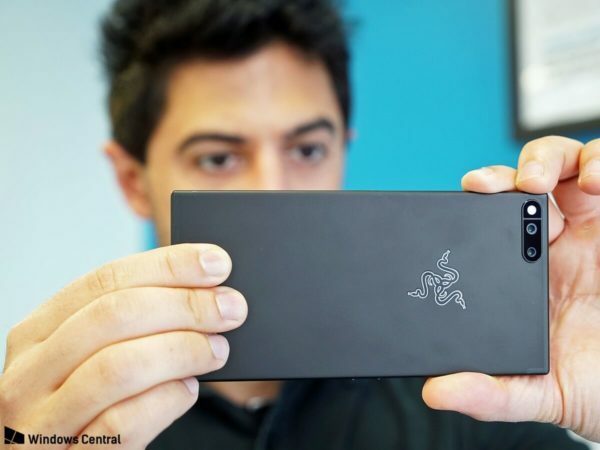 Razer previously acquired Nextbit, makers of the cloud phone which have helped Razer to craft the new sensational Gaming Smartphone. It features a 5.7” QHD IGZO screen is the World’s first smartphone with a 120Hz refresh rate to be known as Ultramotion Display like Razer said, there is no tearing, and no buffering, all smooth gaming experience. The display is protected by Gorilla Glass 3. The Razer Smartphone Integrated with the best available Flagship processor which is a Qualcomm’s Snapdragon 835 with the mammoth 8GB of Ram and 64GB Internal Memory which is expandable via a microSD card. 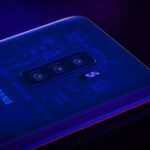 “We leveraged our engineering experience from laptops creating a heat pipe and two layers of thermal shielding, turning the structure of the phone into a heat sync, so you can use your phone in the high-performance mode for a lot longer and avoid throttling,” says Moss. For the photographer in you, there is a 12Mp Dual Camera, where one is a 12MP F/1.75 wide angle lens and the other is a 12MP F/2.6 telephoto lens with 2X zoom. Additionally, you’ll get portrait mode and seamless zoom features in it. The front camera is consists of 8MP F/2.2 sensor. 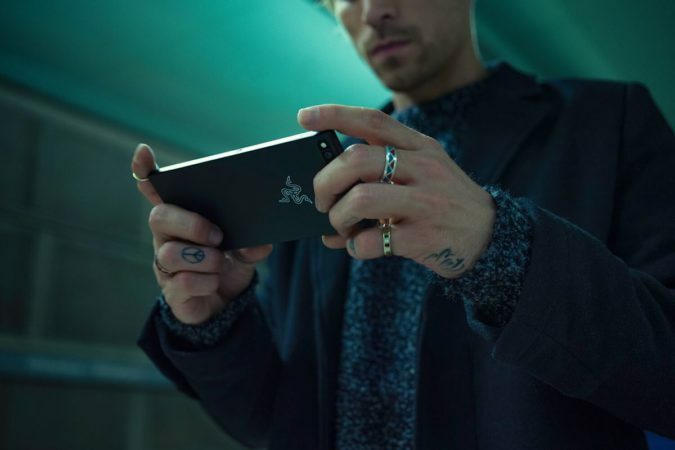 You won’t be disappointed if you want seemingless gaming in your Smartphone because Razer Smartphone packs a 4,000mAh battery that make sure you doesn’t end your Gaming session without completing your Mission. It also comes with support for Quick Charge 4.0+, making it the first phone to ship with the new fast-charging technology. What actually it will do, is that it will charge your device from 0 to 85% in just 1 hour. The Razer Smartphone comes with big Dual Front facing Speaker covering the front of the Smartphone. Razer says, The speakers have dedicated amplifiers, Dolby Atmos, and are certified by THX, another of Razer’s acquisitions. 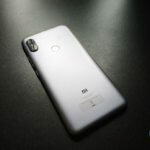 There is a fingerprint scanner embedded in its power button and a USB-C port at the bottom. It also has NFC but no headphone jack. 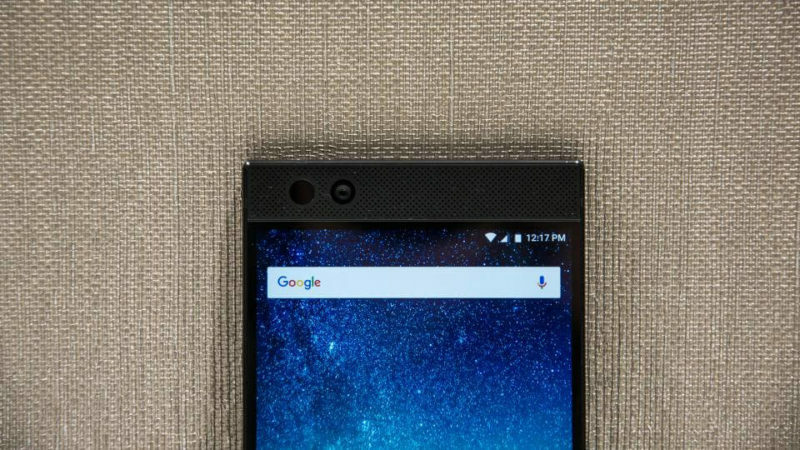 The Razer Phone runs Android 7.1.1 Nougat out of the box with a custom Razer version thanks to Nova Launcher Prime. 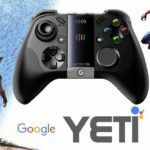 What’s in it for gamers? 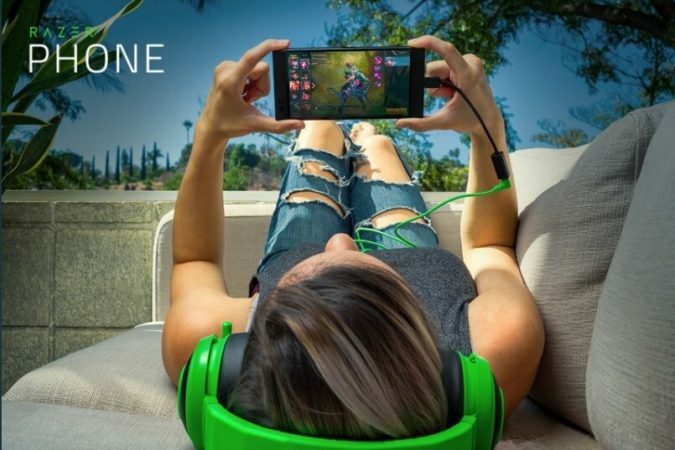 Razer phone has a library of specially designed games that take advantage of its Ultramotion Display. Some of the games were launched in the event were Arena of Valor – let just skip it until you are a Clash of Clans lovers, Tekken – ya quite popular and yet entertaining Game, Final Fantasy XV – not that good especially with those graphics. A brand new game called Ultra Hunt was also demoed at the launch and more game to come in future. 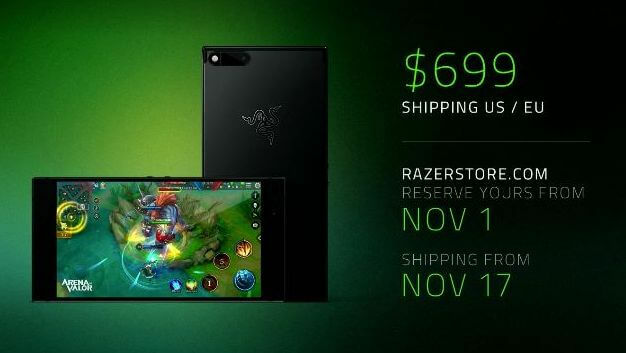 All this you’ll get in Razer Smartphone for just $699 not so expensive to taste a better Smartphone. The Pre-orders already begin today and it will start shipping 17th of November. 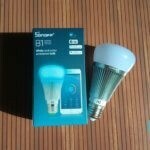 It will be exclusive to Microsoft Stores in the US and Canada, and Three Network in Europe.